An effective government needs effective political leadership, no Ministers who understand their roles, set clear priorities, work well with their departments and cope with the demands of the job can result in so many deficiencies that are being shown by this Granger Government. The APNU/AFC coalition Government Ministers were unable to be effective in fulfilling their promises and bring resolution to numerous issues over the past four years despite various highlighted attempts by residents especially by picketing exercises throughout Guyana. Lack of leadership, appointment of “square pegs in round holes” for important positions, refusal to be more transparent and accountable in projects and Ministers’ increased salaries were some reasons that resulted in the loss of confidence in the APNU/AFC Government by the people of Guyana. The announcement by the APNU/AFC coalition Government to be in Region Six to address issues is a clear sign of desperation and a continuation of the 2015 elections campaign trail of unfulfilled promises to Berbicians in order to garner votes for the next elections. As Berbician, we need to ask ourselves what this coalition Government has done for Berbice over the past four years without benefitting themselves. Berbice was quickly transformed into a state of depression after May 2015 and in the most shameless method, this coalition “circus” hiding under ‘Bringing the Government to you’ is nothing else but the wasteful abuse of taxpayers monies by public officials while Guyanese are suffering in Region Six. -Secrecy in awarding contracts by central Government Ministries, contract documents being kept secret from regional authorities. Government must be open because an open Government is a doctrine that citizens have the absolute right to, which involves accessing the documents and proceedings of Government so that ordinary Guyanese can exercise oversight. The APNU/AFC coalition Government has changed our country to secrecy, oppression, intimidation and threats while the epidemic of systemic corruption in Guyana ensures that monies are being syphoned off into the pockets of public officials. 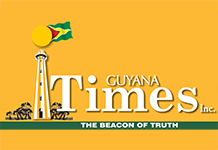 Granger has not been able to do anything to make Guyanese lives better.